Item number 3048/9 a-b from the MOA: University of British Columbia. Plaid blouse with detached sleeve. The blouse (part a) has a short bodice with one semi-attached long puff sleeve. 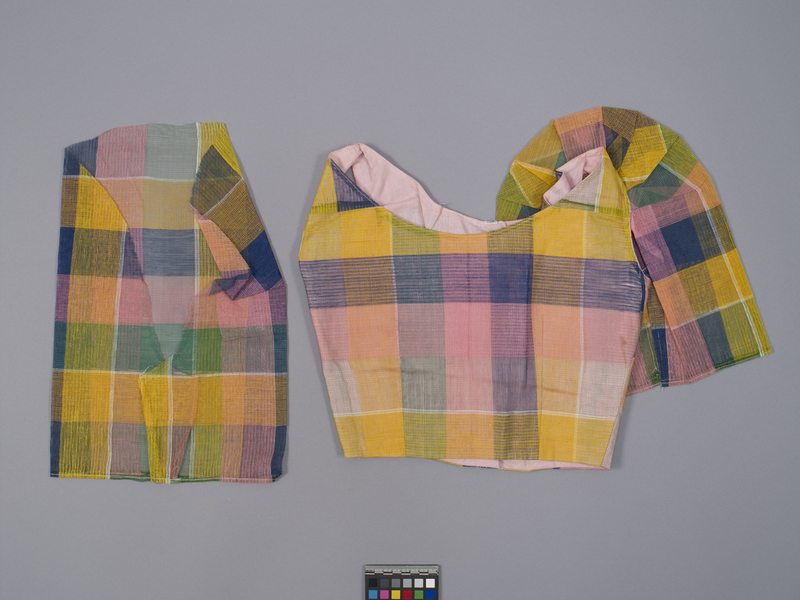 The other sleeve (part b) is detached from the blouse. 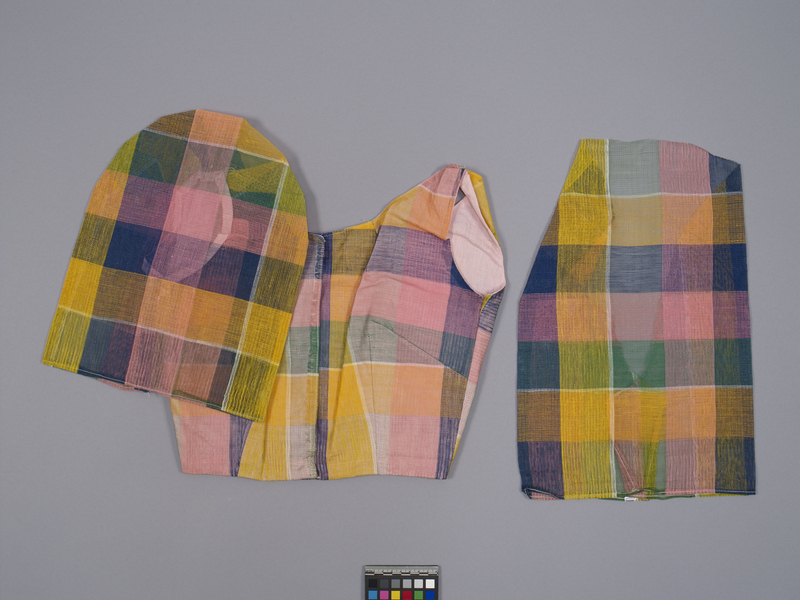 The plaid fabric consists of overlapping stripes of pink, purple, green and yellow-orange. The fabric is loosely woven and sheer. The bodice of the blouse is lined with pink cotton fabric, while the sleeves are unlined. The back of the blouse fastens with five silver metal snaps and one metal hook and eye attachment at the bottom of the flap.